The SNEB Annual Conference Call for Abstracts opens on Nov. 1 — that's only three weeks away! Here are five things you should know before the submission process begins. 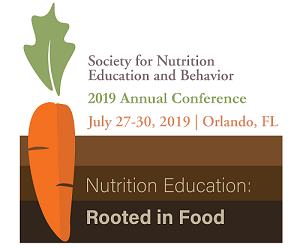 The 2019 conference theme is Nutrition Education: Rooted in Food. It is a reminder of our origins as food and nutrition educators. It’s a call to action that underscores the need to safeguard food producing resources and improve healthy food access in a time of political, social and planetary disruption. It also celebrates the beauty, pleasure and joy stemming from our connections with food. Abstracts related to this year’s theme are encouraged. The first deadline for submissions is Jan. 23, 2019. Why submit by January 23? Abstracts submitted by this date are eligible for oral presentation and can be revised and resubmitted at no extra cost after reviewer comments. You can also save money—abstracts submitted by January 23 costs only $25 versus $50 for the late breaking abstracts. Late breaking abstracts are due March 1, 2019. The purpose of late breaking abstracts is to accommodate abstracts with results not available before the regular submission deadline. Remember: abstracts submitted without results as late breaking abstracts will not be accepted. The abstract categories being accepted are: Research Abstracts, Program Abstracts, Scholarship of Teaching and Learning Abstracts, FNEE Pre-Conference Research and FNEE Pre-Conference Programs. See the Review Criteria for additional details. In addition to being published in the Journal of Nutrition Education and Behavior, your abstract could win an award! The SNEB Higher Education and Nutrition Education for Children Divisions are accepting applications for their annual research awards to be presented at conference. Apply when you make your abstract submission. The FY 2019 USDA Farm to School Grant Request for Applications (RFA) is available! Grants are designed to expand farm to school programs that improve access to local foods in eligible schools. 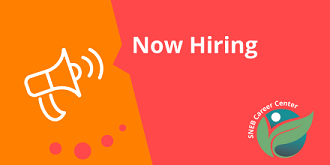 Find more details and opportunities here.